I’m traveling today but just heard from folks in Cupertino that we’ve been served with an official complaint from the Free Software Foundation regarding the iPhone. We’re not entirely surprised since as I recently reported (see here) Peter Brown, director of FSF, was sending around email dropping veiled hints about how the iPhone uses software that is covered under the GPL. According to our legal team the complaint was prepared by lawyers from the Software Freedom Law Center. 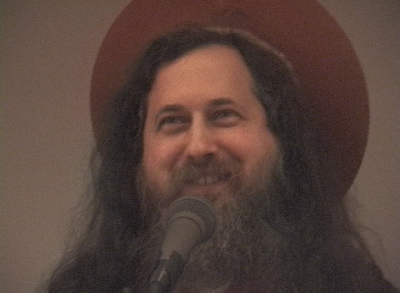 Gist of the complaint is that crucial pieces of OS X and Safari were originally designed by Richard Stallman or designed by others who turned over their copyrights to Stallman. The threat is that we must remove those pieces of code and redesign the iPhone or start paying a royalty to the Free Software Foundation equivalent to 100% of the retail price of each unit sold. Or we can agree to comply with the terms of the GPL and give away all our software. But they say they’d mostly like us to go with option 2, that being the money.